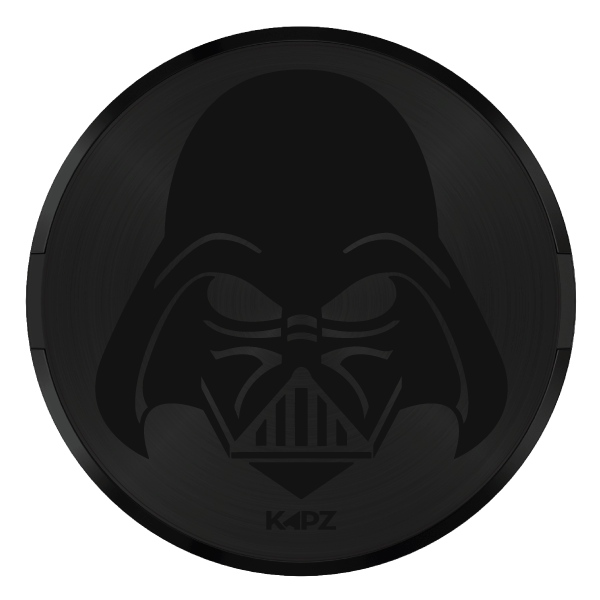 Here we have the stealthy black anodised, deep-etched, Boltless Darth Vader headset cap. 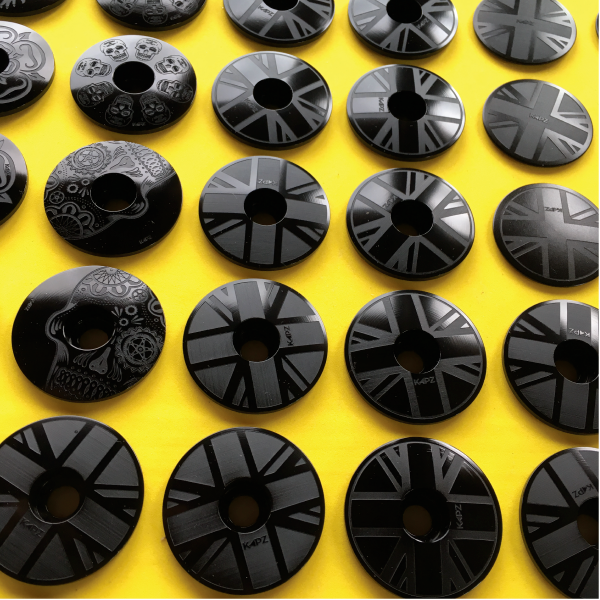 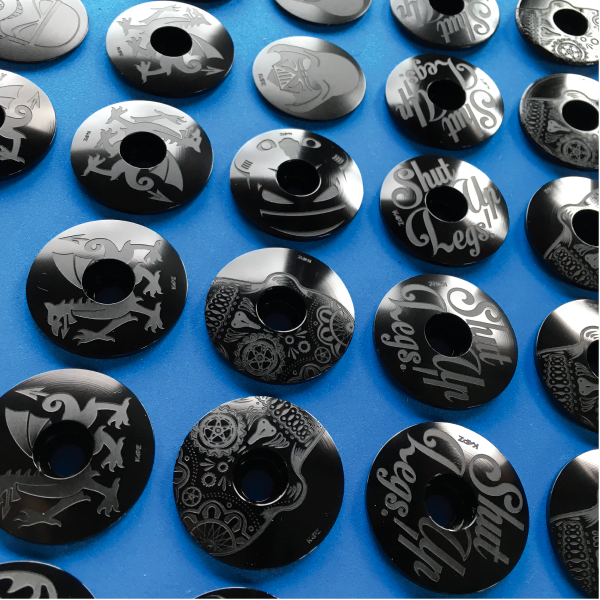 32mm (1 1/8") standard size to fit 99% of modern bicycles and come complete with a black retainer too! 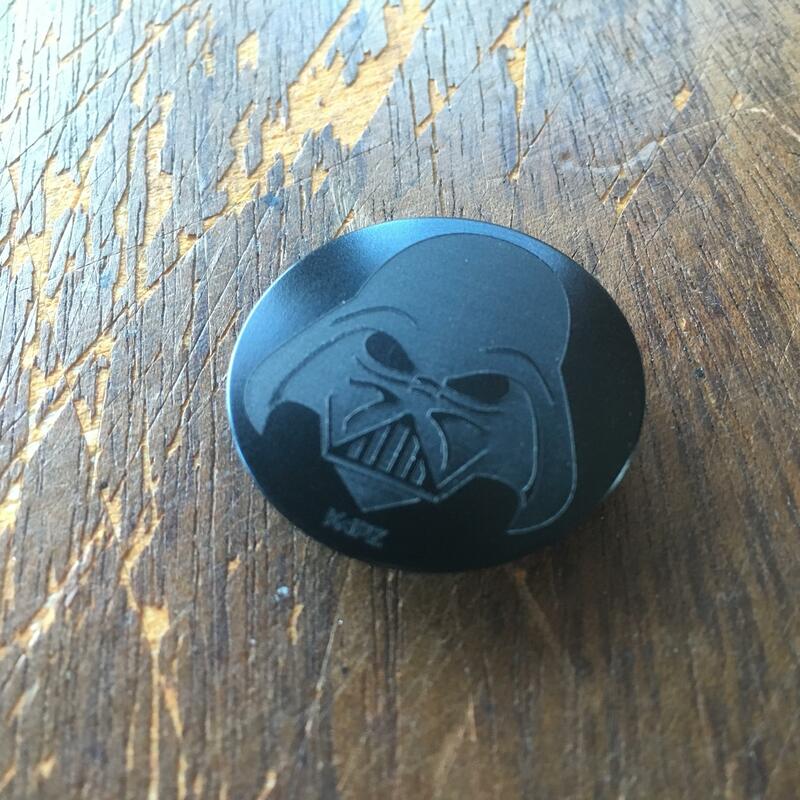 PLEASE NOTE - These caps are in stock.